The original!!!! Fast and easy self-drilling anchors for drywall. Fast and easy self-drilling anchors. Installs quickly and easily with a Phillips screw-driver or square drive bit. No hole preparation necessary; pre-drills own small precise hole in gypsum wallboard. Apply drywall first to ceilings then to side walls. Install side drywall vertically with edges parallel to studs, or horizontally across the studs, which ever way will produce the minimum number of joints. Be sure to dimple head of screws to accept compound. Recommended for steel stud applications. 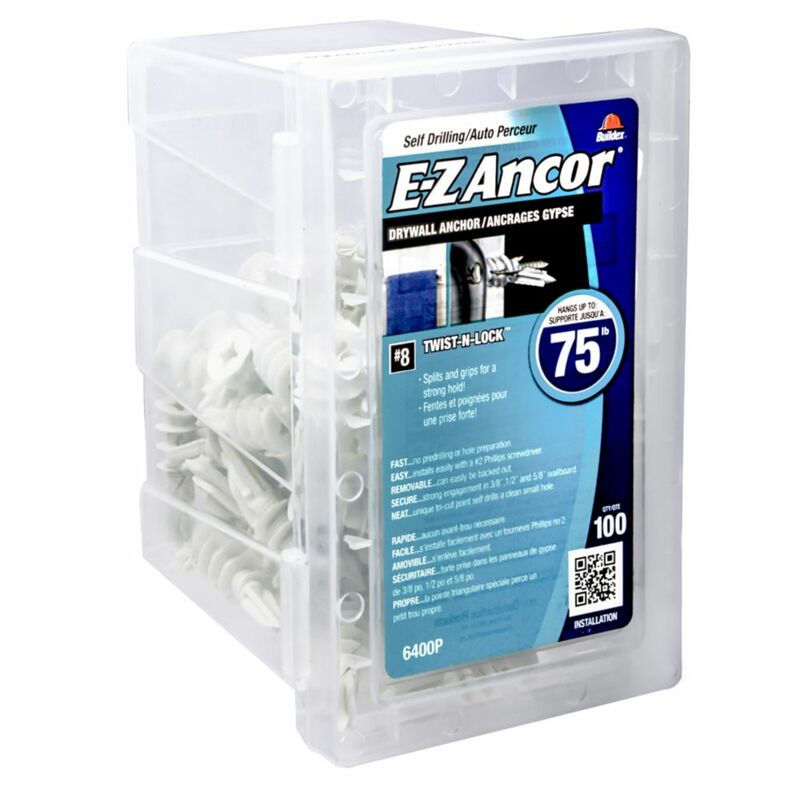 8# E-Z Ancors Plastic The original!!!! Fast and easy self-drilling anchors for drywall.